There’s no shortage of hikes near Snoqualmie Pass. Some are pretty difficult, while others are nice and simple. The hike to Lodge Lake qualifies as the latter. 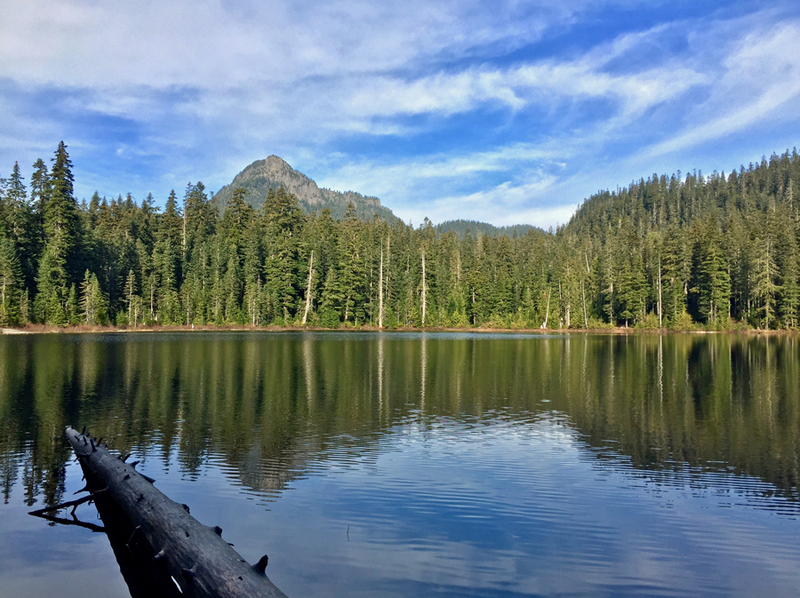 It’s an easy three-mile stroll to a tranquil lake near the Snoqualmie Pass ski area, and it’s a hike not many people talk about. To get to the Lodge Lake trailhead (map), which is actually part of the Pacific Crest Trail, take I-90 to exit 52 (Snoqualmie Pass West). Take a right off the exit and another right into the ski area parking lot. 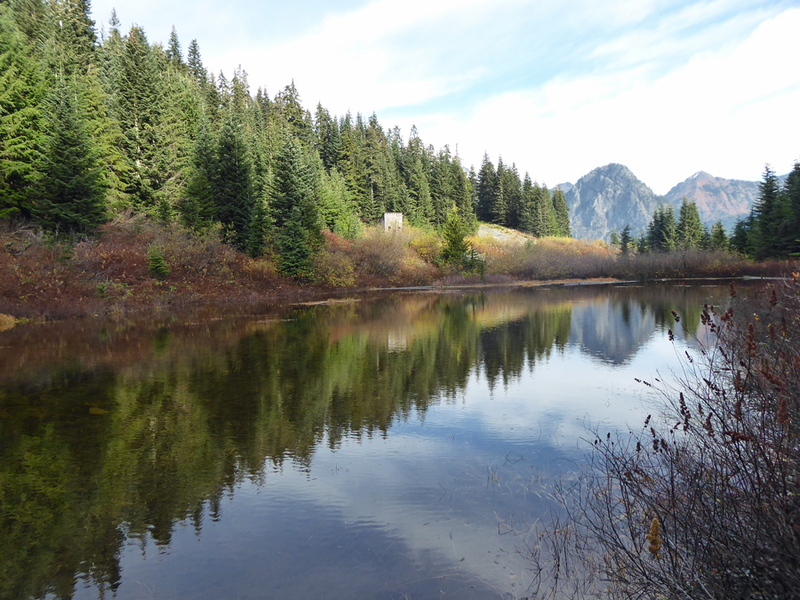 Drive to the westernmost part of the lot, and you’ll find the Lodge Lake trailhead (marked as the Pacific Crest Trail). A Northwest Forest Pass is required. Honestly, the hike to Lodge Lake is a little unusual. 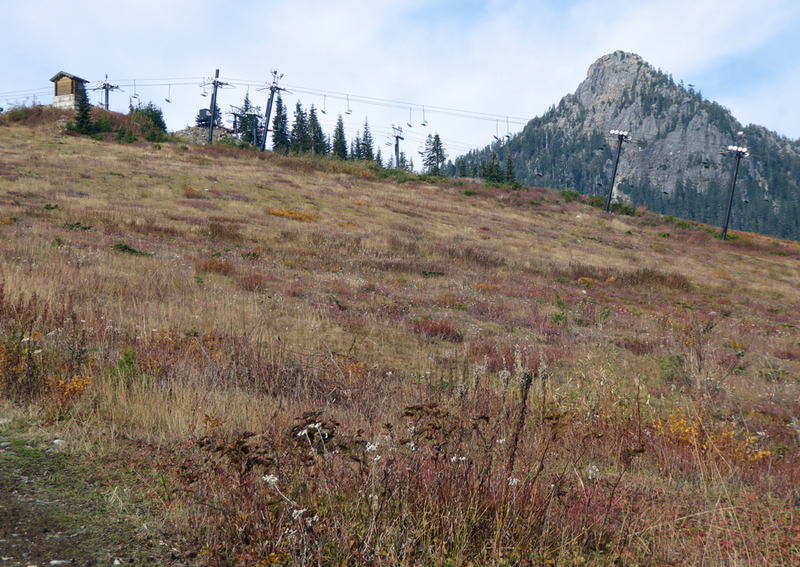 As you come out of the woods at the start of the hike, you stroll onto the Snoqualmie Pass ski runs. While you’re surrounded by chairlifts, there’s actually a nice view back toward Guye Peak, Snoqualmie Mountain, and Red Mountain. Before getting to Lodge Lake, you’ll first run into Beaver Lake. It looks much more like a pond than a lake, but depending on the day, it offers nice reflections of the surrounding trees and mountain peaks. It’s a nice place to stop, take in the view, and snap a few photos before continuing your trek to Lodge Lake. About a mile and a half into the hike, keep your eyes peeled for a sign posted on a tree for “Lodge Lake” (pictured at the top of this post). Turn right at the sign, meander along the trail, and you’ll run right into the lake. Even though it’s not far from the bustle of I-90 or the Snoqualmie Pass ski area, Lodge Lake is nice and quite, and feels like it’s far away from the busy world. 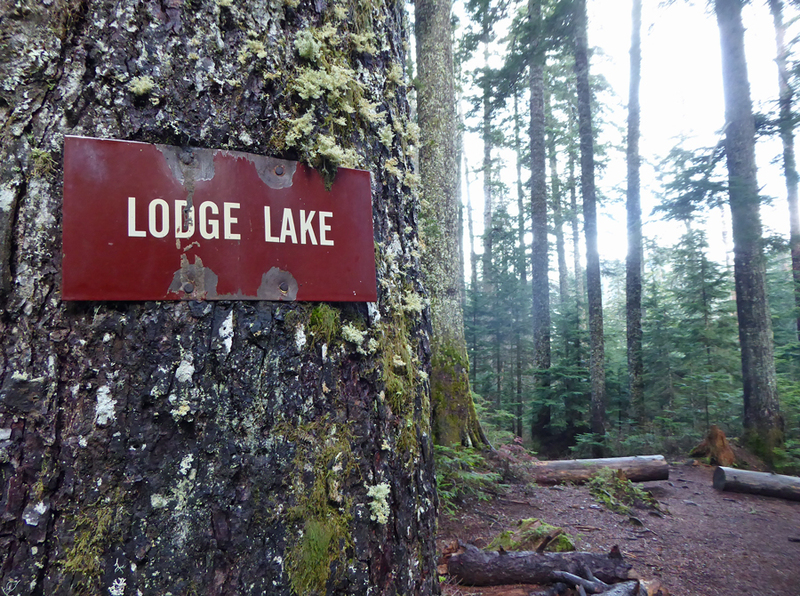 Have you ever hiked to Lodge Lake? How was your experience? We’d love to hear from you! Please leave a comment below or connect with us on Twitter, Facebook, and Google+. Don’t forget to also check out Seattle Bloggers for more great places to visit around the Emerald City! As a child we would hike in to Lodge Lake. That was when you parked along the I-90 and went up the side of the hill. I loved when we would hike into Lodge Lake. We would cook our lunch, and play are under the water. With 7 brother’s we were always busy.